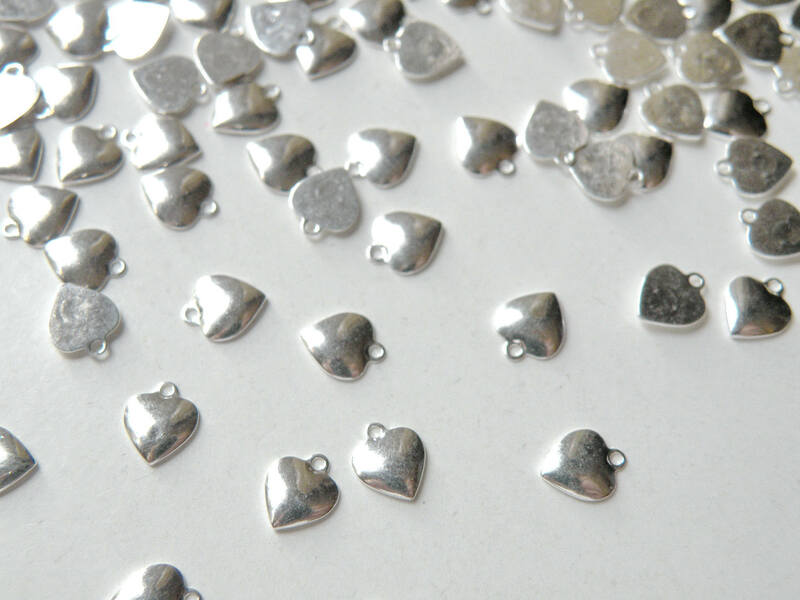 Teeny tiny and simple shiny silver plated brass plain heart charms one sided design 7x6mm. Rounded on one side and flat on the other. 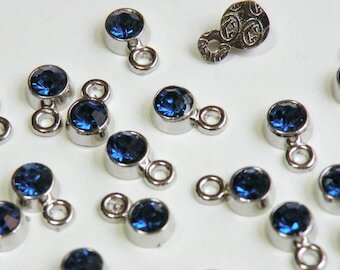 The holes are tiny so you'll need jump rings 21 gauge or smaller.